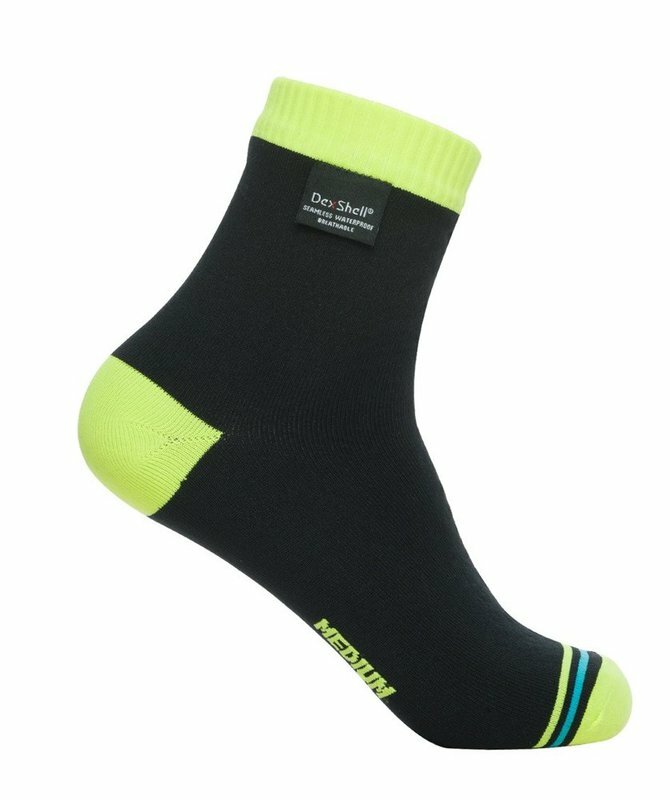 An ultra light, ankle length sock with a highly visibile colored cuff. Suitable for biking, but walking and running during warmer seasons tabloid is a need-to keep dry feet. Lining: Porelle waterproof breathable membrane.